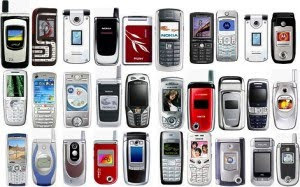 Selling and buying used mobiles attracts wide segment of people, thousands and thousands of deals take place every day. In most cases mobile holders would sell their own as a result of buying a new device. Why don’t you learn some secrets of the trade and attain a higher price of selling your used mobile set. Getting a good deal of selling a used mobile starts even before buying the mobile itself. Think of buying a set which enjoys active trading market. Avoid purchasing unbranded mobile devices or sophisticated sets. Try to buy recent models in order to ascertain that your mobile is not outdated when selling it. Do you know that one reason of being happy with your new mobile is unpacking the device. This is it! Keep all plastic bags, original box, cables, catalogs, manuals and stickers in a safe place. Do not forget to keep the original warranty certificate and any other important document such as the device insurance and the invoice. No need to remind you to keep an eye on your mobile, use it carefully. A suitable cover will really protect the device from scratches and hits. Learn also how to use the key pad shortcuts, this will reduce the pressure of using the mobile’s ball or mouse - the first checked part by any potential client. Aim at selling your mobile prior to the expiry of the warranty certificate, if applicable. This would create an immense effect on the re-sale value. Make the mobile available for sale. Export your contacts and files from device. There is no better deal than selling a ready-to-sell mobile. Asking for a fair price is a key factor. Like any other trading activity the price shall satisfy both you and your client needs. Research the prices of similar band new mobiles, prices of the upgraded models of the one you have, and also check the prices of similar used mobiles. Adjust the price in a way that reflects your mobile conditions, and accommodate a cushion for a discount. You may add a premium on the price against offering some accessories such as memory disk and headset. Once you decide to sell you have to advertise widely on community boards, free weekend commercials, and local related websites. Specify some key technical features such as the model, the memory size, the video functions and the communication facilities. Do not forget to mention the availability of its original package. Also insert high quality photo of the mobile, check the manufacturer if you don’t have one. Plan to keep mobile shops as your last client option as they offer lower price than expected from a deal with individual client. Try your best to offer your mobile in excellent conditions. Bring the mobile with its original package. Providing the original packing when selling the mobile, would give good feelings to the buyer. Your mobile will seem more appealing and reasonably used. Make sure that the battery is charged to make the mobile ready for testing. Activate nice and high tune melody as clients will test the speakers second, the first tested part is the mobile’s mouse. Resort the original settings of to make the mobile appears as those new ones and select bright screen settings. Give the expected client his sweet time to test the device as this would create confidence in your mobile quality. Share with client any problem in the mobile and be open for a discount if your price is higher than the market prevailing rates. If you are selling through a website, ask your client to kindly write a positive feedback on your web profile, this will help in sustaining good image and concluding future deals. Enjoy using your mobile and have a good deal of selling it later.